The Kings also announced their official anthem would be out in the market very soon. 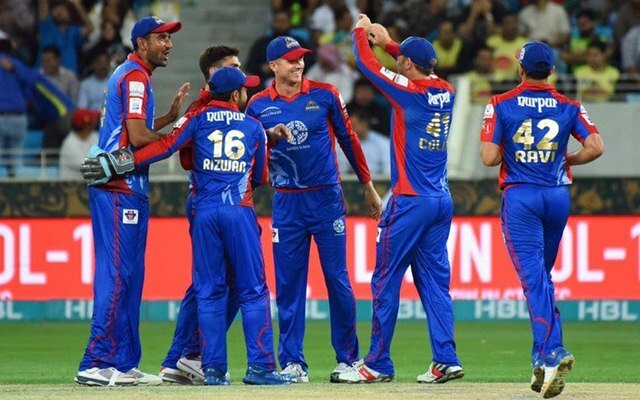 The Karachi Kings are one of the most successful teams in the Pakistan Super League (PSL) having qualified to the playoffs in all the three seasons. However, on all the occasions, they couldn’t get their hands on the coveted trophy. Last time, they lost against finalist Peshawar Zalmi by 13 runs in the Eliminator 2 at the Gaddafi Stadium in Lahore and bowed out of the tournament. This year, the Kings would start their campaign against Multan Sultans at the Dubai International Cricket Stadium on Friday, February 15. The team would be captained by spin-bowling all-rounder Imad Wasim, who performed exceptionally in Pakistan’s recently concluded three-match ODI series against South Africa, which the world number one visiting team lost 2-1. The team also boasts of some players, who have the potential of turning a match on its head. Babar Azam, one of Pakistan’s most dependable players in all three-formats, is also a part of the squad. The likes of Colin Munro, Colin Ingram and Ben Dunk add strength to their already powerful batting lineup. Sikandar Raza’s prowess as the all-rounder can be dismissed by any stretch of the imagination. The fast bowling unit has Mohammad Amir, Usman Khan Shinwari and Sohail Khan, all of whom have proved themselves at the highest level. In the meantime, the franchise has launched their jersey for the upcoming edition of the T20 extravaganza. The picture has Shinwari, Babar, Wasim, Mohammad Rizwan and Amir in it. Their jersey is sponsored by Tuc, a popular brand which has also sponsored international events. The Kings also announced their official anthem would be out in the market very soon.